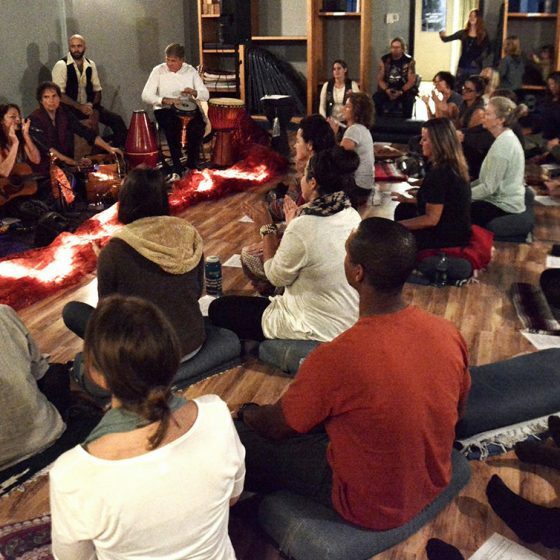 KIRTAN (from the Sanskrit word “to praise/ to glorify”) is an ancient practice of mantra chanting in a call and response format. The leader sings out a line, and the audience sings it back, building and blending until there is no longer any distinction between the chant and the chanter. Please join us and experience your own “inner” version. 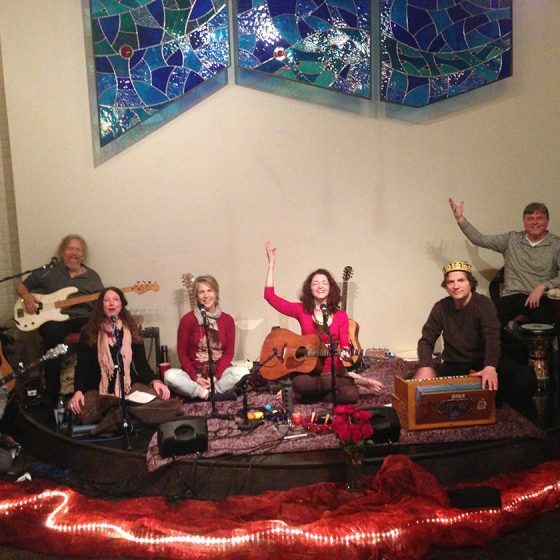 Kirtan is a Sanskrit word meaning “to praise/to glorify”. 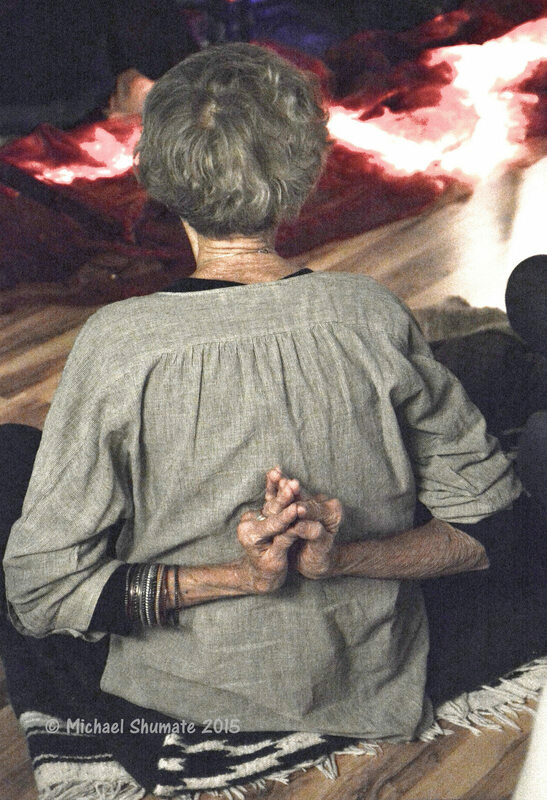 It is a part of an ancient form of Yoga known as Bhakti, or the Yoga of Devotion. It arose from the mid-15th-century in India. “Their message was simple: Cultivate joy. See the Divine in one another. 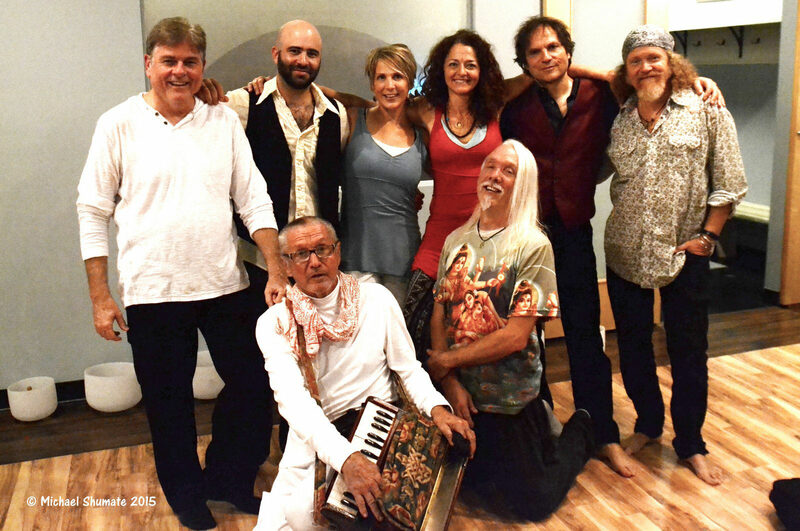 In the eyes of Love, we are all the same.” Spoken by our friend and passionate kirtan leader, Dave Stringer. 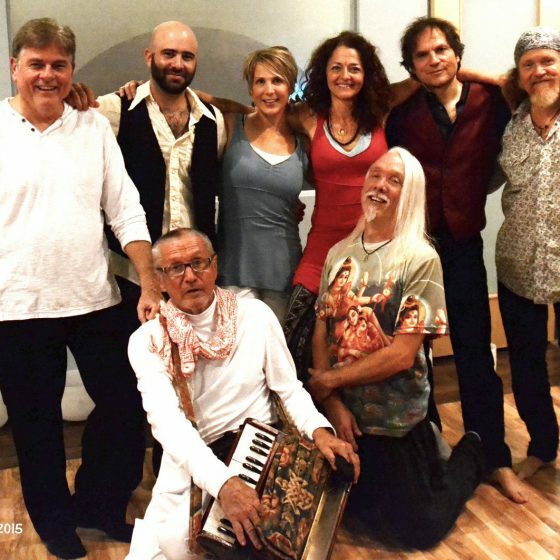 Amy’s mentor Jai Uttal says: “Kirtan is for all people. There are no experts, no beginners. 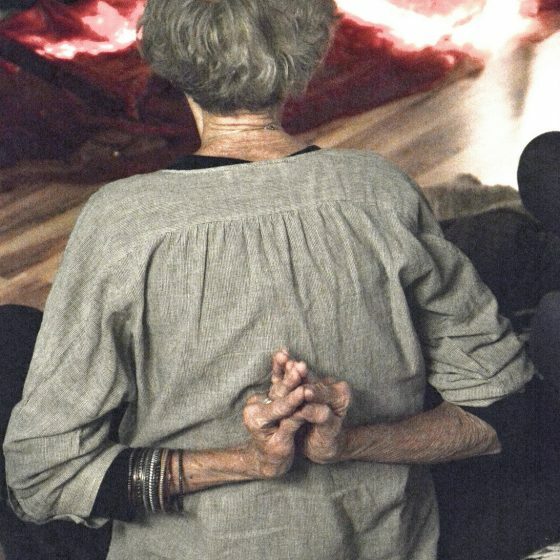 The practice itself is the teacher, guiding us to ourselves. Kirtan allows us to enter into a mystery world – a world where all the logic of our minds, all the condition and learning are left outside. And in this mystery, we create a temple inside of our hearts, a place of refuge, a place of love, a place of just being.” Sound good? 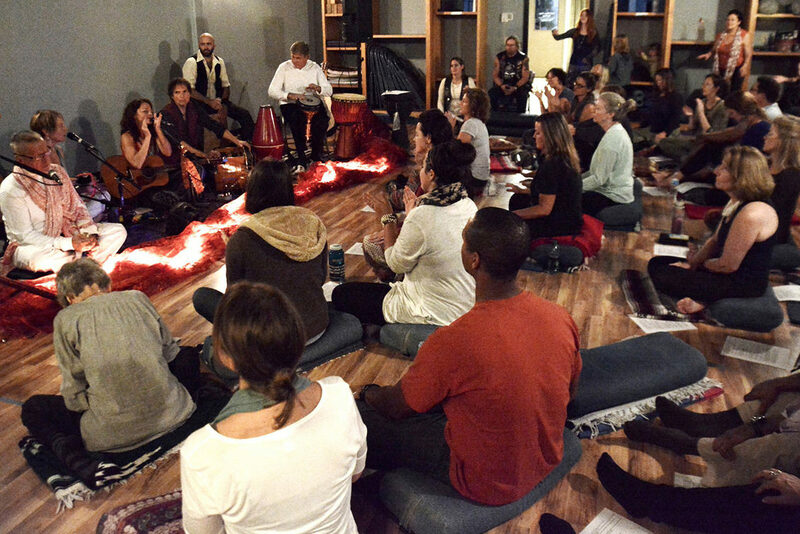 Would you like to know more about or attend a Music Mantra Meditation class, workshop, or Community Kirtan? Perhaps you’d like to host? Let me know your vision/ideas or any questions you may have and I’ll get in touch with you shortly. 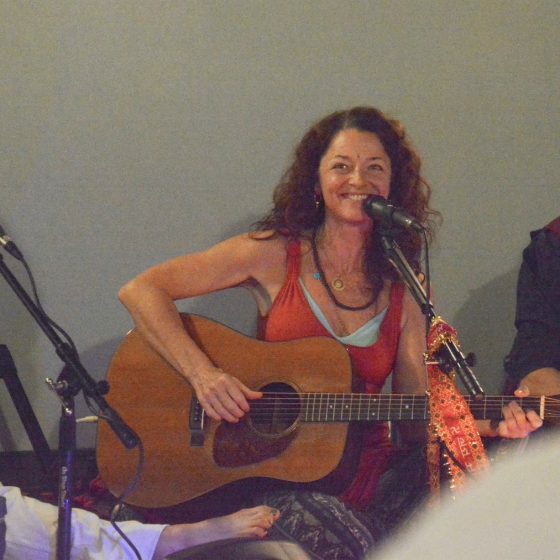 Looking for more Kirtan happenings? 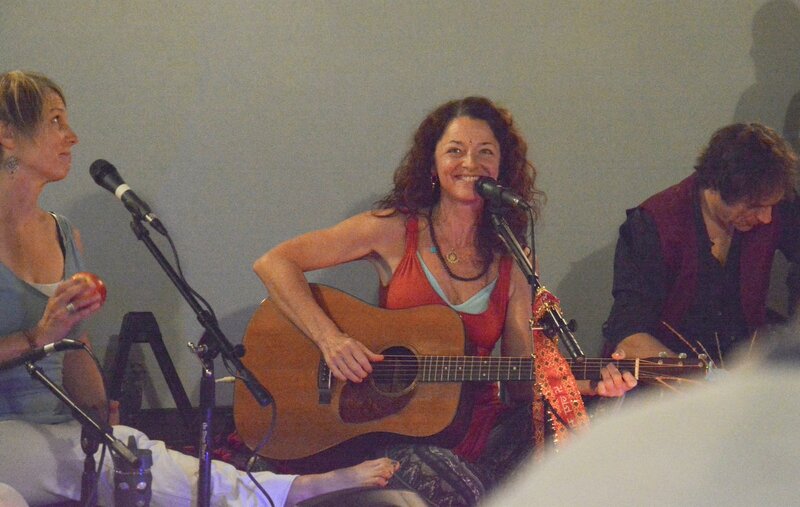 Visit my Events page to see what’s next on the Kirtan calendar. My mentor & friend, Jai Uttal, has blessed the recording with the sacred sounds of his dotar. Manose has showered the nectar of his bansuri flute on “Jay Krishna Radhe”. Local talent Thomas Anderson, Pru Clearwater,& Tom Mason have made rhythmic, dobro, & vocal magic on it. It was produced by the amazing Ben Leinbach. 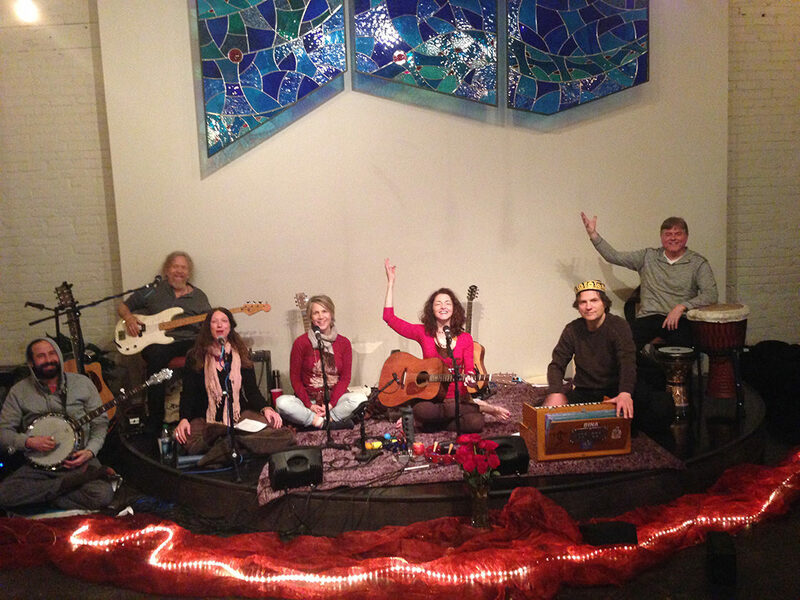 The popularity of kirtan, the devotional practice of chanting has grown in recent years. 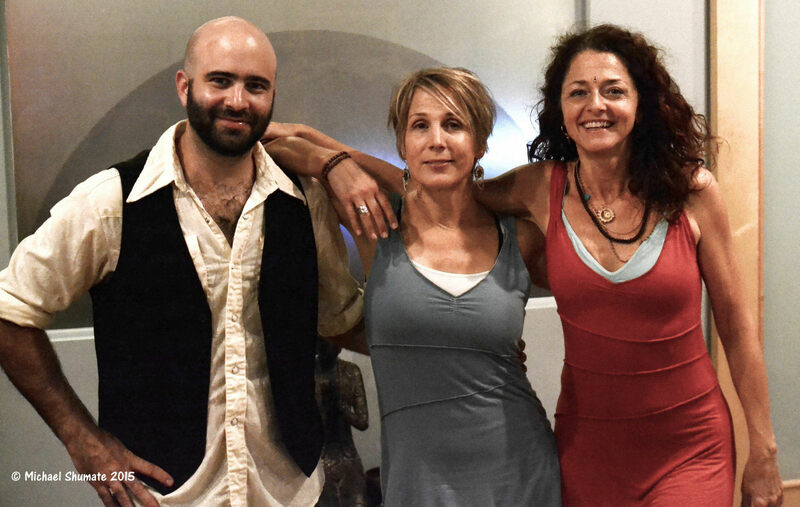 Artists such as Jai Uttal, Wah!, and Snatam Kaur have brought this art form to a wider audience. 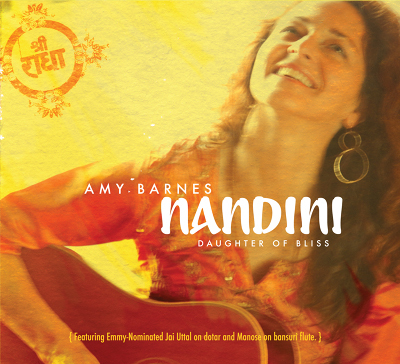 Nashville native Amy Barnes’ debut CD, Nandini – Daughter of Bliss, is a welcome addition to the collection of any kirtan enthusiast. 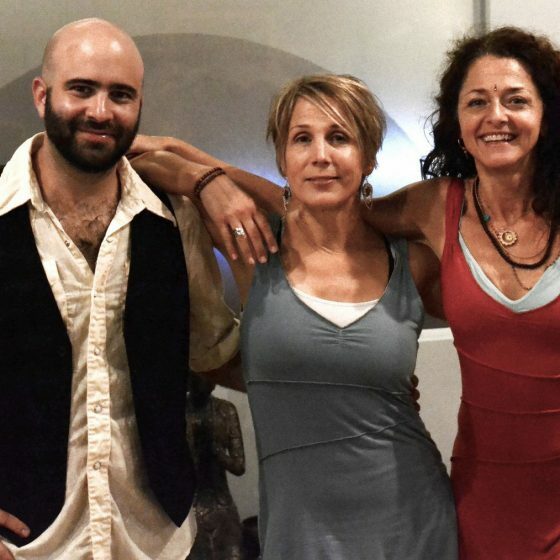 Barnes, the daughter of a yoga teacher and a Methodist minister, has created a collection of chants that lift the spirit and make the heart sing.